It was just a "participation medal." But I still like it! But I don't need them, managed to set a new personal best, better even than my best practice run to date. 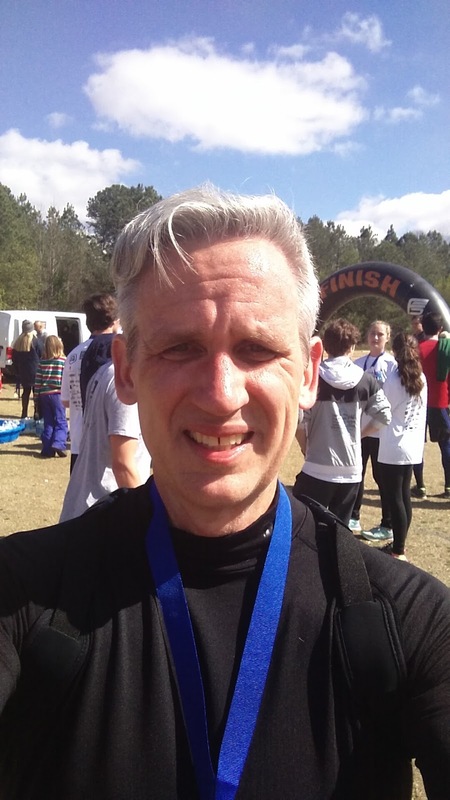 Now I've got a 5K lull until the Fuquay race this summer and need to keep biking for the longer term goal of completing a Sprint Triathlon in the Fall. So not knowing where I'll be with the training regimen changing, and how the coming warm weather will effect me, won't set a goal for the Run the Quay race yet, but I'd really like to keep getting faster these next few months and show marked improvement. 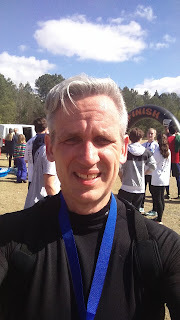 22:00 feels out of reach -- a time would've been competitive for my age group in this race -- but maybe a time under 24 minutes isn't out of the question?